So the Oscar nominations are out and like any other year, they were chock full of surprises. Although first off, La La Land emerged victorious with a record 14 nominations, overperforming as expected. Also, Fences kind of overperformed having cracked the Best Picture lineup. I initially predicted 8 Best Picture nominees but I figured if any film would make it an odd 9, it would be Fences. Hacksaw Ridge also overperformed with Mel Gibson making the Best Director lineup over DGA Nominee Garth Davis for Lion as well as the likes of Tom Ford for Nocturnal Animals and Pablo Larrain for Jackie who wasn't a sure thing but I figured he'd get in on the foreign contingent that tends to take place in that category. Now onto the underperformers. Arrival cracked the Best Picture lineup and Best Director. But apparently there's no lead actress in the film to anchor it because Amy Adams, who is in practically every scene, got left out of a crowded Best Actress field with Isabelle Huppert and Ruth Negga managing to leapfrog over Amy Adams and even Annette Bening whose film, 20th Century Women, only got a lone Screenplay nomination. Also, Nocturnal Animals underperformed with just a Supporting Actor nomination for Michael Shannon despite it having a strong BAFTA showing and a Golden Globe win for Aaron Taylor-Johnson who was ultimately left out. 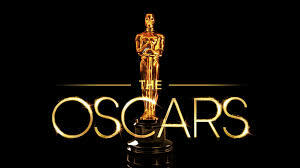 Some positives, though, include Moonlight performing well as expected, Jackie getting in for Best Original Score despite being a serious underperformer, Hidden Figures managing to make the cut for Best Picture, and Lucas Hedges making Supporting Actor for Manchester By The Sea which was something I wasn't sure would for sure happen but it did.